Play this free 1 Hour Relaxing bird song recording for your indoor cats to listen to. Relaxing bird songs are nice to hear while working, studying, meditating and relaxing at home or at work. This entry was posted in Cat Videos, CatsHome and tagged bird recording, bird songs recording, birds audio for cats, birds for cats, birds recording for cats, birds songs, free birds recording, relax bird songs, relaxing birds, relaxing birds recording on June 18, 2013 by CatCamille. Stevie Wonder, is a six year old blind cat that was found in a garden flea-ridden, suffering from worms, with a hernia in his stomach and both of his eyes missing. Vets are unsure whether his eyes were surgically removed or he was born without them. Stevie was taken home by Beva Street; one of the staff of the Wood Green Animal Shelter in Godmanchester, Cambridgeshire. At first, Ms Street noticed that he appeared to like listening to the piano being played. Then one day he astounded her by pressing the keys and playing the piano himself! Beva Street, deputy manager of cat welfare at the shelter, believes the blind wonder cat feels comforted by being able to hear the sound made by its movements and that the sounds connect him to the outside world. Now the piano playing kitty spends most of his time enchanted by the gentle piano sounds at his temporary owner’s home. Ms Street said: ‘You wouldn’t think Stevie couldn’t see. He is so playful he is like a little kitten. Stevie seems to enjoy the sound of the piano and often jumps up on my lap while I play. He has ventured onto the seat and the piano himself a few times for a little nose and a rather noisy play. Because he has no sight Stevie’s other senses are so heightened – his hearing is amazing. He loves to jump, play with fishing rod toys and explore his foster home and garden. He really is a wonder. She also said she hoped Stevie would find a stable home soon where the furniture remains in one place so he can create a mental map in his head of the space around him. Wood Green, which was founded in 1924, rehomes thousands of dogs, cats, horses, goats, sheep, rabbits, hens, ferrets and other small animals every year. This entry was posted in Cat News, Cat Stories, Cat Videos, CatsHome and tagged amazing blind cat, blind cat, piano cat, piano playing cat, wonder cat on August 8, 2012 by MamaMia. Taking your pet with you if you are going on holiday or moving abroad for a while can be a stressful time because there are a lot of things that you need to do. Getting them organised is a lot more complicated than most think. This is especially the case if you are moving to another country. Also, one thing to remember is that sometimes you may not be able to get the food and tastes that you are used to in your native country. This may mean that your pet is now subject to a change of diet and this may cause them to feel uncomfortable and displaced. Thus, after you have sorted out your move it is important to consider what type of food you are going to give them. One of the best places to ensure that your cat has the same quality of food that they are used to is to go onto the Internet. You find that a lot of companies are willing to ship worldwide and to most regions. This means that if you move to a new area and the local pet store does not supply your brand then you can still give your cat what he/she is used to. However, if you are looking to change your pet’s diet then here are some popular brands that can be found online that will give your cat the nutrition it needs. 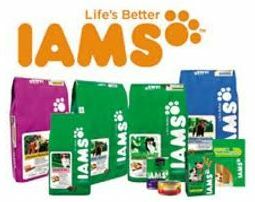 Firstly, there is cat food by iams; they provide a variety of cat foods and are most popular for their dry range. You will also find that they use whole grain wheat in their products so it is high in fibre and good for you cat’s bowels. is another high standard natural cat food that has a range that is suited for animals of different ages. It is very easy to use and it comes in a range of flavours that cats seem to enjoy. The difference here is that the pouches are mostly wet and contain a variety of meats and fishes. 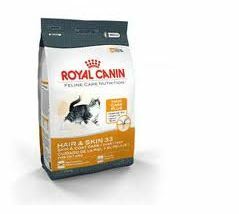 If you need to give your pet certain nutrients because they either have a long fur coat or are suffering from a deficiency of some sort, then cat food by Royal Canin is going to be the answer. They have one of the widest ranges of specialist foods available and they will make your pet feel at home wherever you travel to. All of the above foods can be bought online so it is easy for you to find. They are also cheaper than in retail stores so you can make a good saving and also feed your cat the nutrients it craves. This entry was posted in Cat Articles, Cat Food, Good Cat Care and tagged cat diet, Cat Food, dry cat food, IAMS cat food, moist cat food, Purina cat food, Purina Pro Plan, royal canin, Travelling With Your Cat, whole grain cat food on June 19, 2012 by MamaMia. There is an old stereotype which is that every cat owner’s house is smelly and dirty and of course, like all stereotypes, it is not always the case. It is true that some people are less hygienic than others and some do not know how to care for their feline friends as well as they should, but it does not mean that they cannot learn to do so properly. I own three cats and one of the worst things is finding the right cat food to suit all three of them, as two suffer from dietary intolerances and the other has feline urinary tract disease, and finding one that doesn’t stink out the whole house at the same time was too much to ask. I have two different cat foods but all three of them have been fed on Royal Canin Sensitivity in the past. Many cats suffer from allergies, which can lead to diarrhoea and great discomfort for your pet, as well as cause for people to consider the stereotype if you have a litter tray in use! The embarrassing stereotype also stretches to those who have misbehaving cats. My cats unfortunately love to scratch the sofas, ignoring their designated scratching posts as if to spite me. Feliway helped me solve this problem. The dispenser is odourless and a non-sedative which helps feline stress and allows them to feel safe and secure in their own environment. As I have three male cats, it also helped immensely with their territorial spraying and fighting which was getting worse by the day – a month or so after I introduced Billy to the other two. Finally, there is nothing worse than going to a cat owner’s house with the worry of picking up worms if you know that the owner rarely worms their pets. Drontal for cats is always stocked in my cupboard and I administer one dosage to each cat every three months. It is easy to use and saves any worry for visitors and myself. So long stereotype! This entry was posted in Cat Articles, Good Cat Care and tagged drontal, drontal for cats, felin stress, feliway for cats, get rid of cat worms, nutrecare, nutrecare.co.uk, royal canin, royal canin sensitivity, stressed cats, veterinary diet for cats, wormers for cats and kittens on June 19, 2012 by MamaMia. This entry was posted in Uncategorized on December 24, 2011 by MamaMia. This entry was posted in Uncategorized and tagged cat pictures, Cold War Kids, Robbers on December 24, 2011 by MamaMia. www.simonscat.com – A hungry cat resorts to increasingly desperate measures to wake its sleeping owner. This entry was posted in Uncategorized and tagged Cat Cat, Cat Man, Hungry Cat on December 22, 2011 by MamaMia. This entry was posted in Uncategorized and tagged cat house, Climbing Wall, House Cat on December 19, 2011 by MamaMia. This entry was posted in Uncategorized and tagged Cat Videos, Funny Videos, Jinx on December 16, 2011 by MamaMia. This entry was posted in Uncategorized and tagged Community Www, funny cat, Worldwide Pet on December 13, 2011 by MamaMia. • FACEBOOK: www.facebook.com • TWITTER: twitter.com • WEBSITE: www.N3OS3R.com • T-SHIRTS n3os3r.spreadshirt.com • SECOND CHANNEL www.youtube.com funny cat :) Please see my latest vid,vote and coment,is amazing,thanks. This entry was posted in Uncategorized and tagged Coment, funny cat, Vote on December 12, 2011 by MamaMia. This entry was posted in Cat Videos on December 11, 2011 by MamaMia. This entry was posted in Uncategorized on December 11, 2011 by MamaMia. This entry was posted in Uncategorized and tagged Fit, Funny Pictures Of Cats, Pictures Of Cats on December 8, 2011 by MamaMia.